Mission: To promote Science, Technology, Engineering and Math while building student confidence in the classroom by using aviation as the key learning discipline. 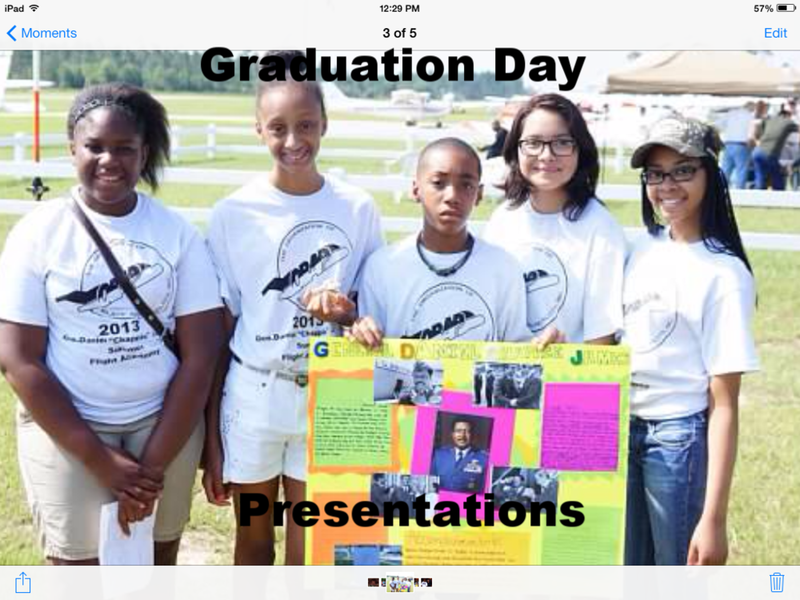 Our program aims to provide a future workforce for the aerospace industry and to inspire good citizenship using the legacy of General Daniel Chappie James Jr.
Young boys and girls between the ages of 13-18 will explore and learn about the aviation industry during new year round program. There are targeted weekend classroom instruction modules for kids to learn about how and why airplanes fly, aerodynamics, aviation weather, navigation, and other principles of flight. There are planned field trips visiting facilities such as Air traffic control (TRACON), Pensacola Aviation Center, Innis Jet free Center, Pensacola Regional Airport, the Airbus facility in Mobile as well as the Coast Guard flight training facility in Mobile and other sites related to aviation. Students also get the chance to fly simulators in order to reinforce what they learn in the classroom’ We also have our one week summer camp every June where we welcome new students to our community of young aviators. The flight academy was started in 1996, and for the last 23 years has offered an amazing aviation experience mainly targeting low to medium income boys and girls ages 13-18 giving them the opportunity to attend a high quality program. The flight academy also develops leadership skills for the students through its five areas of primary focus. The flight academy is a 501c3 non profit organization and is governed by a 4 member pilot board of directors. We offer this program free of charge to the kids of the community. We are an all volunteer staff and our expenses are covered by the generous donations of you !! the citizens of Pensacola and our local sponsors. Your donation is tax deductible. Thank you for you support. The Board is currently undertaking an aggressive 5 year plan that addresses both the organizations expansion, financial strategic goals and objectives that will chart a path towards a sustainable future.